These 7,000 year-old statuettes discovered in Mesopotamia, the cradle of human civilization, show an odd resemblance to modern depictions of reptilian humanoids. Anunnaki connection? The strange figurines were unearthed in 1919, during the first excavation of the Al’Ubaid site, and have since puzzled the scientific community. 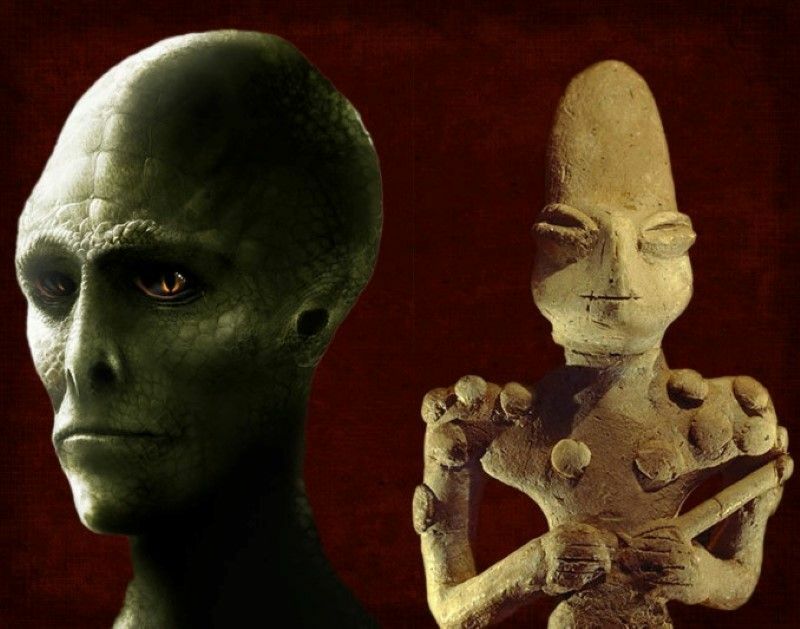 As you can see, they depict humanoids with reptilian characteristics such as elongated heads, almond-shaped eyes and lizard-type noses/snouts. They represent both males and females, and some of them have what appear to be helmets on their heads. Others are depicted holding staffs or scepters, symbols of the ruling class. Some of the female figures are breastfeeding and their babies also show lizard traits. Archaeologists are unsure of their exact nature andtheir role remains unknown. However, most of them agree that because the statuettes depict common activities such as breastfeeding, the Ubaid lizard men (and women) were not ritualistic representations but rather stylized versions of flesh-and-bone creatures. Add that to the symbols of power that some figurines are holding and we have a 7,000 year-old take on the modern mystery of the ruling reptilian race.